As what looks like a typically scorching Egyptian summer settles in, the heat and Cairo’s usual hustle and bustle will inevitably begin to take a toll on mind, body and soul. We’re not exactly a nation that collectively values nourishing these three things, but having already had a taste of what’s to come with the expected soaring temperatures (remember that day that it was over 40 degrees?) a bit of pampering an love-thyself-living are exactly what the doctor ordered and we have the perfect prize with our latest competition. What? 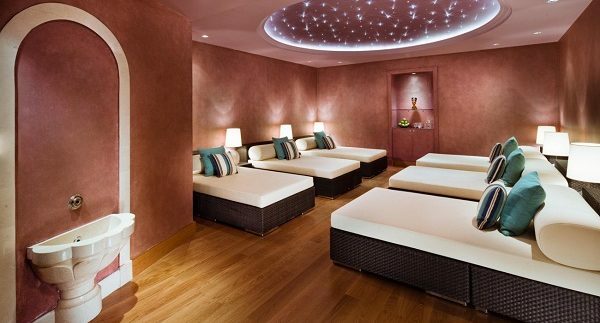 You can win a one-hour spa treatment at the Kempinski Nile Hotel! Where? Having won a 2015 Cairo 360 Editors’ Choice Award, Kempisnki’s The Spa stands as one of the most lavish spa facilities in the city, offering a wide range of luxury treatments and services. Why? Because you need some ‘me-time’ – but for you. So techinically it's 'you-time'. Right? What now? Send your answers to freestuff@cairo360.com, with your full name, contact details and ‘Kempinski Spa Competition’ in the subject line. The competition ends at midnight on Thursday 9th of July 2015; so hurry up and send your answers in! Terms and Conditions apply.